Mobile networks slammed for charging customers even after paying off their contracts. British smartphone users could have been overpaying for their mobile contracts after some of the country's largest network providers were found to be landing customers with big bills - even after their contracts had ended. An investigation by watchdog group Citizens Advice found that Vodafone, EE and Three had continued to charge customers for devices bought as part of their contract even after their deal had ended. Customers of the networks were being charged an average of £22 a month if they did not take up a new contract after their previous one had ended, the group found, with those with premium handsets such as the latest offerings from Apple and Samsung facing up to £38 extra a month after their two-year contract ended. Overall, 36 per cent of people with a contract that included a handset purchase failed to change it after the end of the fixed deal period. Older customers (those 65 and over) were found to be the most likely to be caught out, with 23 per cent with a handset-inclusive mobile phone contract staying in their contract for over 12 months past the end of the fixed deal period and possibly incur further charges, compared to 13 per cent of people aged under 65. Citizens Advice is now calling for all network providers to reduce their customers’ bills when they stay in the same contract past the end of a fixed deal by default. It also wants companies to to separate out the cost of a handset from the cost of mobile phone services to make it clear to the consumer when they have paid off the cost of the handset in a contract, which it says would also enable consumers to compare the price of contracts more easily. 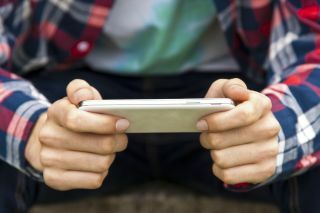 “Mobile phones are now an essential part of modern life, but the way that the cost of handsets are hidden within some mobile phone contracts gives phone providers a way to exploit their customers," said Gillian Guy, chief executive of Citizens Advice, which has in the past successfully lobbied for similar price cuts in the energy, broadband and mortgage markets. “It is clearly unfair that some phone providers are charging loyal customers for handsets that they have already paid for. It’s especially concerning that older customers are more likely to be stung by this sharp practice." Digital skills minister Matt Hancock said: "It's only right that mobile customers should be notified when they have paid off the price of their handset, and that their future bills should reflect this."